Teochew porridge! There’s surely something for everyone! 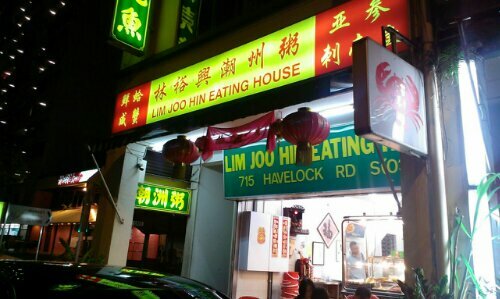 It’s quite hard to find teochew porridge nowadays, not to mention good ones. The whole idea about Teochew porridge is simple: ordinary food made delicious. I can have salty egg and seasoned minced meat with porridge anytime, anyday! I can go on forever about this Teochew porridge. Every single little dish, however simplistic, beings comfort to the stomach, the soul, the life. With our hectic lives peppered with best cut steaks and fancy cakes, taking a step back to savour the simplicity is an indulge in itself. Even the steamed peanuts are yummy!